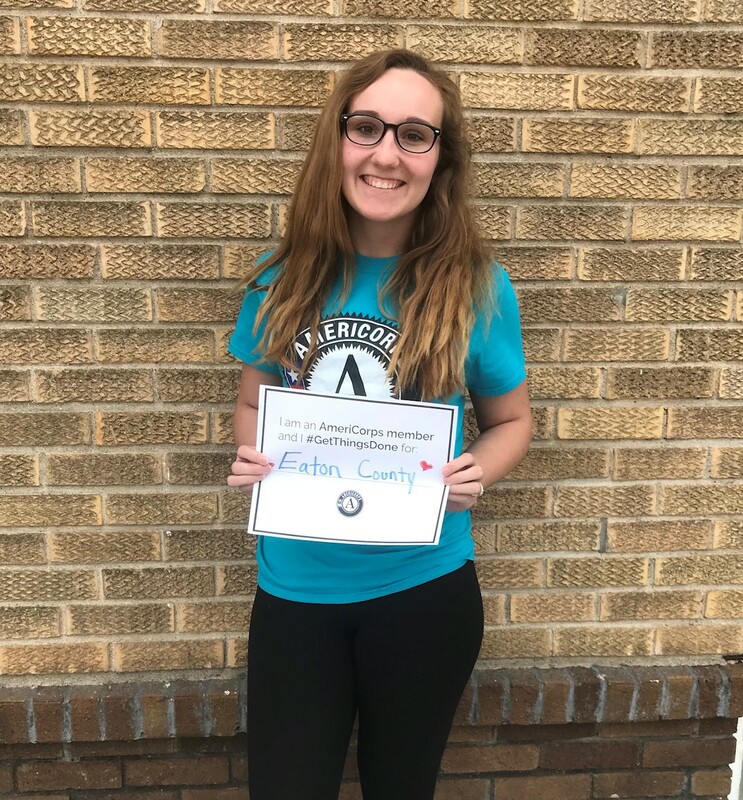 My name is Hudson Bennett, an AmeriCorps member serving at Housing Services Mid Michigan in Clinton County, MI where I have been an member since November 2017. I am also a junior at Michigan State University majoring in Social Relations & Policy and minoring in Science, Technology, and Environmental Public Policy and Environment Sustainability Studies. When I applied for the position of Housing Search and Information Specialist I was at first hesitant because I had never done anything like this before, it didn’t particularly pertain to my field of study at MSU, and was a year long commitment. However, after meeting Christie and the staff at Housing Services Mid Michigan I knew this was the right thing for me to be doing. I enjoy serving others and assisting those who are in need of the basic necessities many of us take for granted like: food, shelter, clothes, electricity, etc. Since the beginning of my service I have grown more comfortable interacting with clients to try and understand their circumstances and why they have come to HSMM for help. In addition, some of the things I do on a monthly basis are to create a monthly housing guide, landlord outreach, and plan community events. Everyday I am humbled by others in the community who are doing work to make Clinton County a better place for individuals and families that are struggling. 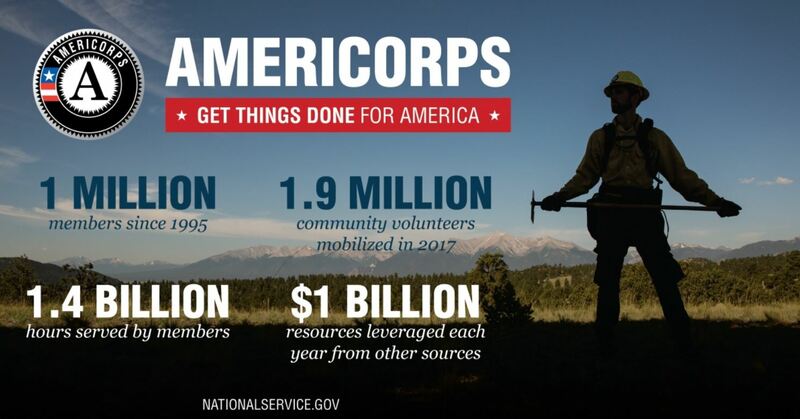 As my journey of service continues I hope to make more of a difference in the lives of people HSMM, AmeriCorps, and I serve. 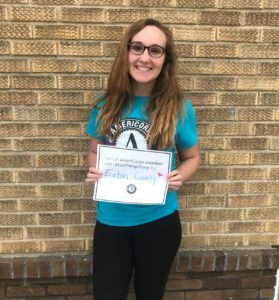 My name is Mikayla Bower, an AmeriCorps member serving at Housing Services Mid-Michigan in Eaton County, MI. I have been in the program for a year and five months now, since November 2016. I am a sophomore at Olivet College majoring in Criminal Justice, Law Enforcement and Corrections and minoring in Psychology. Helping people is something that I love to do, whether friends, family, or anyone else that I can lend a hand to. I heard about the position through my mom, who works for Housing Services. After accepting the job, I gained another family at my host site that I could lean on. 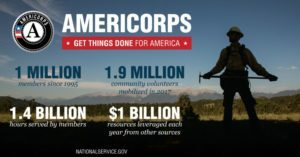 I have planned a resource fair for the last two years called Project Resource Connect. This year, I also helped plan Adopt a Family, which has been one of my favorite projects. Seeing the reactions from the families was absolutely heartwarming. I have never heard people be so appreciative. I also enjoy helping those who get overwhelmed with paperwork. We have many community members stop in and I can help them complete their food assistance applications, Housing Choice Voucher paperwork, etc. The way applications are structured can be confusing for people who don’t have a ton of experience with paperwork. Lastly, I enjoy being able to help people who need it. Going into the criminal justice field, with the hopes of being a probation officer, this opportunity has been the most rewarding. I am so fortunate that my host site asked me to do another year with them to make an impact in Eaton County.